There was some good news for F1 last week. On Tuesday a 10 year deal for a new F1 race in New Jersey was formally announced. The race, to be known as the Grand Prix of America, will be held from 2013 onwards on roads around Port Imperial in the towns of Weehawken and West New York, and will feature the New York City skyscape on the other side of the Hudson river as its backdrop. Attempts to stage an F1 event in or around New York City seem to have been made since the dawn of F1 itself (see here for more), but now, finally, it looks like it will be a reality. This race of course joins the round in Austin, which is to feature on the calendar from 2012, again with a 10 year deal and to be known as the United States Grand Prix, meaning two US rounds on the F1 schedules in the near future, and for the first time since 1984. All of this is not before time in my view. I've long been of the view that there should be at least two US rounds on the F1 calendar. There should be no doubt of the country's ability to stage two races. For the purposes of the F1 calendar America should be thought of as a continent rather than as a country: there will be close to 2,000 miles between the two venues (and how many European rounds are within that radius of each other?). For another, I've long considered it absurd that an F1 world championship should be so prone to turn its back on such a major player as the United States. The potential market available there is not to be underestimated, and neither is the fanbase for F1 in America, both established and latent, especially in the eastern seaboard. Let's not forget that the largest F1 race day crowd ever was in America - at the 2000 race at Indianapolis where upwards of 250,000 people were in attendance. And this potential is good news for sponsors and manufacturers, and in turn is good for the sport in terms of their investment. It's also no coincidence that Bernie Ecclestone has worked so hard for so long to have a race in or near New York City. As was outlined by a local on James Allen's website recently, there is clear potential of attracting the 'Monaco demographic' to a New York race. This, in other words, is CEOs and the like of organisations who have a stake in F1 (either as a supplier or a sponsor) who'll see it as a marvellous opportunity to conduct business, impress clients and similar (this is now firmly established at the Singapore and Abu Dhabi rounds, as well as at Monaco). This is not only good news for those already involved in F1, but is also a gateway for US-based companies to start to invest in the sport. And a race with the Manhattan skyline as its backcloth will surely be an amazing spectacle, and will add to F1's impressive canvass of evocative race surroundings (including Monaco and Singapore). Both the Port Imperial and Austin events and circuits look serious, well-planned and well-backed. 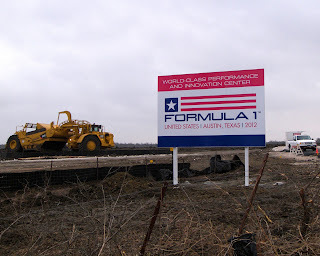 For the first time in what seems a long time, F1 is making a resolute attempt at cracking America. Cracking America has been easier said than done for F1 historically. 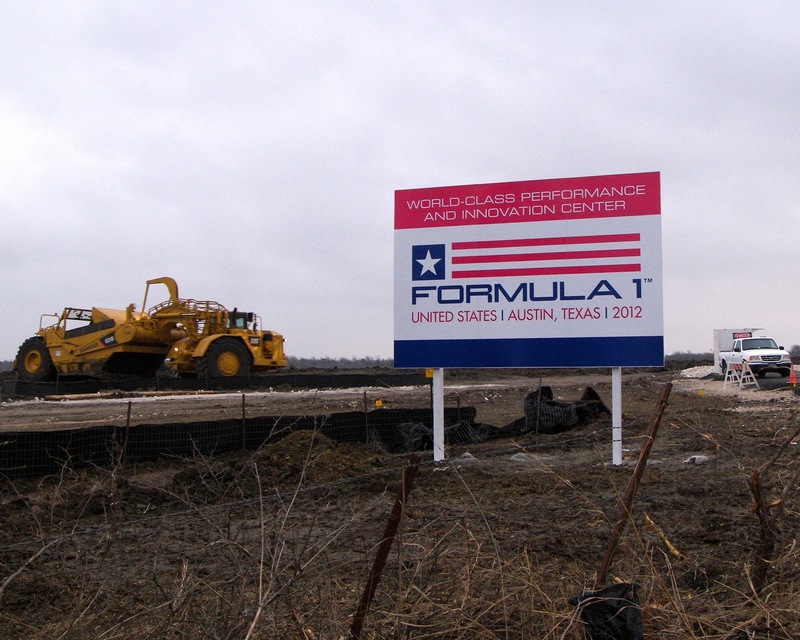 Austin and Port Imperial will become no fewer than the tenth and eleventh venues in America to have held an F1 race (this is a record - France is next up with seven different circuits having hosted a race there). This number is testament to F1's struggles to set up a permanent home in the US, with many previous attempts half-hearted and short-lived, often with local interest barely disturbed. Nevertheless, F1 did for a while get it right in the United States, and this is what everyone concerned will hope that the the two new venues will emulate. The successful homes were Watkins Glen and Long Beach. Such is the extent that these two rounds have gone into folklore it may be surprising that they actually only co-existed on an F1 calendar for five seasons - from 1976 through to 1980. It may underline the Holy Grail that they briefly represented. It is encouraging that the Austin/Port Imperial combination has a lot of parallels with that of Watkins Glen and Long Beach. One is in the east of the country and one is in the west, one is a street track and one a road course. Austin and Port Imperial will hope to replicate the other characteristics, namely that both were highly popular venues with the F1 fraternity and the fans, both were challenging configurations for the drivers, and both were successful events that drew vast crowds. Not including the Indianapolis 500, which was technically a round of the F1 calendar from 1950 through to 1960 (and thus providing every F1 statistician's favourite anomaly), the first 'proper' United States Grand Prix was at Sebring in 1959, rather featureless track in Florida around an old US Air Force training centre. It wasn't a success, not attracting much of a crowd and sustaining a financial loss, and the next year's US F1 round, this time at Riverside in California, was a similar story. The 1961 US Grand Prix was therefore moved again, this time to Watkins Glen, a road course in upstate New York. Racing had long been established in the area going right back to 1948, and indeed the Watkins Glen circuit that staged the F1 race was in fact the third circuit under that banner - the previous two being circuits made up of public roads which had since been condemned as dangerous. The Glen ended up staying on the F1 calendar for 20 years, making it by a distance the most frequently used US venue for F1, and the closest F1 has had to a permanent home in the country. 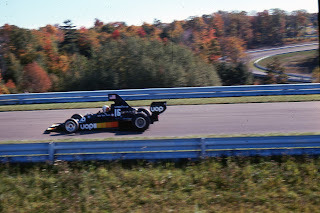 Despite the non-appearance of the recently crowned American F1 world champion Phil Hill in the first Watkins Glen visit, the late-season stop on the calendar was quickly a success and attracted large crowds. This was helped by the multi-national eastern seaboard demographic, and large numbers would arrive in their camper vans each year and make a weekend of it. The track was also scenic, running through undulating wooded landscape in autumnal colours. That it was held at the end of the season, and with the titles often decided, lent it a relaxed, end of term atmosphere. The popularity of the original Glen was qualified though. Denny Hulme recalls that: 'the old Glen was a nothing circuit. We all went there to play golf. It was all right, the trees looked lovely in the autumn. When they modified the track in became a good circuit'. The track however, did provide the scene of tragedy. Both Francois Cevert and Helmut Koinigg perished here in successive F1 events, in 1973 and 1974, and in both cases ill-fitted crash barriers were culpable. Towards the end of the 1970s the track's safety arrangements struggled to keep step with the ground effect-induced increasing cornering speeds, and the track surface often showed the strain of the area's harsh winters. Further, the notorious and riotous behaviour of the spectators who inhabited the 'Bog', setting cars alight and worse, was far from in keeping with the gleaming image F1 was lately trying to promote of itself. The track got a stay of execution in 1980, but only after they'd made some track safety improvements using a financial loan from the F1 teams. Come 1981 it became clear that they wouldn't be able to raise the finance to make the further safety improvements required, and when they were unable to re-pay the teams' loans the Glen's fate was sealed, and it was dropped from the calendar. The track thankfully lives on, and its layout is close to untouched since the F1 cars raced around it. 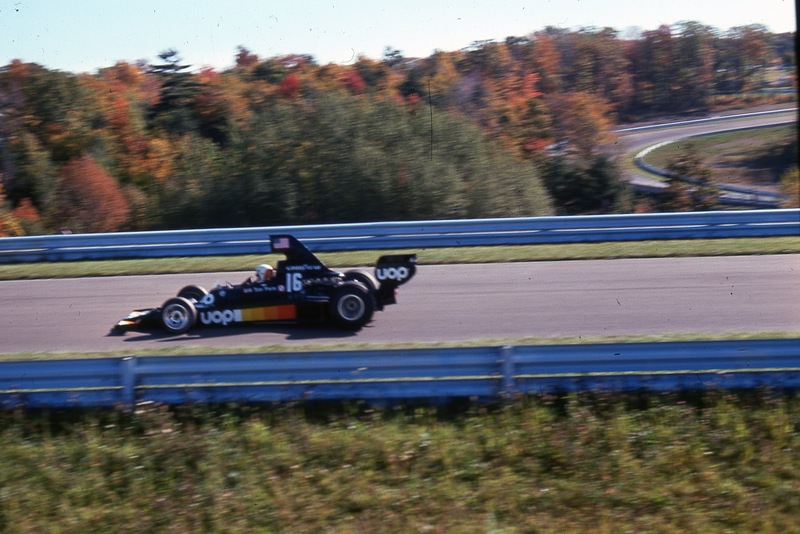 The Watkins Glen circuit was actually declared bankrupt in 1981, and fell into disrepair for much of the 1980s. But from that point it reestablished itself, and now holds NASCAR rounds and other major events, including the recent 'car swap' between Tony Stewart of NASCAR and Lewis Hamilton. The Long Beach round was later to the F1 party. Long Beach is a small city 20 miles south of Los Angeles in California, and in the early 1970s it was overshadowed almost completely by its larger neighbour, having a sleepy and elderly image (despite the presence of the RMS Queen Mary in its harbour). An Englishman called Chris Pook, who ran a Long Beach travel agency with his American wife, was determined to change this into something racier by running an F1 race, the aim being to turn the city into the 'Monaco of the west'. Pook was laughed at initially, but his resolve was such that by late 1974 the city fathers gave their blessing for the race to become reality, and after a Formula 5000 race was held as a trial run in 1975, the first United States West Grand Prix took place early on the 1976 F1 calendar. The first race was a disaster financially, plus it didn't provide much tension in the race as Clay Regazzoni won easily (though it was a copybook performance from Clay, the sort he produced only on rare occasions). But Pook didn't give up and more determination and ingenuity in raising the necessary finance meant that the 1977 race went ahead and that the event was here to stay. And everyone was rewarded with a much better race, a tight race-long three car battle between Jody Scheckter, Mario Andretti and Niki Lauda, which was eventually resolved in Andretti's favour, thus becoming the first (and so far only) home victor of a US Grand Prix. The track's main feature was the sweeping Shoreline Drive, a 'straight' which curved gently to the right and, unusually for a street track, allowed the cars to hit top gear for several seconds, as well as gave an overtaking opportunity into the big stop into Queen's Hairpin. There was also a challenging uphill right hander from Pine Avenue onto Ocean Boulevard, as well as a Bullitt-like descent off Ocean Boulevard onto Linden Avenue. The track didn't contain quick corners, but with mericliess walls always close it was still a challenge - races here were often battles of attrition. The track was also innovative as far as F1 street tracks were concerned. It was the first to feature lengths of concrete marking out the track's perimeter rather than Armco barriers put in sockets in the ground, as well as the first to feature tyre barriers to cushion impacts with the scenery. As with Watkins Glen however, safety was drawn more into focus in the late 1970s and early 1980s at Long Beach. Clay Regazzoni was paralysed from the waist down in a severe accident after his throttle stuck open on Shoreline Drive. In subsequent years, this and local building works resulted in the track being deprived of many of its distinguishing features. Shoreline Drive was cut in half by a sharp detour inserted for the 1982 race, and by 1983 the sharp climb and descent from Ocean Boulevard had also gone. Indeed, 1983 turned out to be the last Long Beach F1 race. The farewell race was a great one however, with the McLarens of John Watson and Niki Lauda scoring a one-two having started 22nd and 23rd. But subsequently Bernie played financial hardball with Chris Pook one time too often, and Pook upped sticks and took the event to CART/Indycar instead, where it has stayed ever since. Subsequent attempts to establish F1 rounds in the USA have not been heroic. Detroit held a street races from 1982 to 1988, and while the Motor City provided a large local turnout the track itself was risible - slow, narrow and forbidding - and was dropped when funds couldn't be found to provide covered pit garages. The 1984 race at Dallas could provide an article all of its own. There was nevertheless some potential there, despite the considerable organisational problems in the first visit, but there was no going back after someone did a runner with the race's takings! The two visits to the Las Vegas car park were not considered a success, and the less said about Phoenix the better. More recently there were six visits to Indianapolis in the noughties, the oval track with an infield section purpose built for F1. F1 couldn't have asked for a more fertile venue for motor sports heritage, and as mentioned early turnouts were abundant. However, it was witness to more than one cringeworthy episode that seriously negatively impacted the event's appeal: in 2002 Michael Schumacher, either by accident or design, ceded the win to team mate Rubens Barrichello right on the line, while in 2005 there was the ridiculous race with six competitors, after the Michelin tyred runners had to pull out after their tyres were unsuitable to proceed through the track's banking at full throttle. Its last race was in 2007, the venue again dropped from the calendar after the circuit refused to cede to Bernie's ever-expanding financial demands. With all of this, it's easy to reach the conclusion that F1 in the USA is doomed to failure. I'd suggest that that many of the venues that failed were either doomed to failure at the beginning due to a flawed original concept or lack of commitment, or were simply victims of circumstance. Further, the successes of Watkins Glen and Long Beach demonstrate that the potential does exist for successful, popular, viable and well-attended F1 races in America. So long as the planning is sound, and local enthusiasm and sufficient levels of proactive promotion exist, there are considerable possibilities for successful American F1 races. The signs are good and the parallels are there - let's hope that Austin and Port Imperial are indeed the new Watkins Glen and Long Beach.